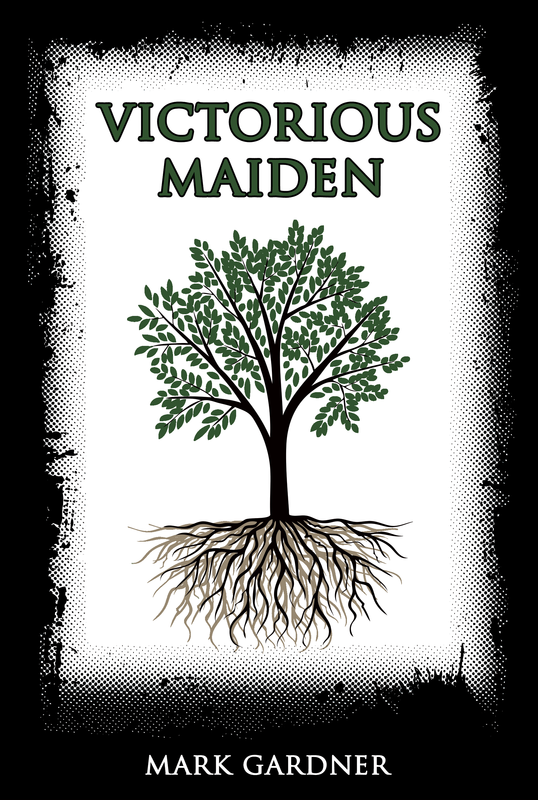 Here’s another 1625 words for Victorious Maiden. I used prompts from three word wednesday and Inspiration Monday. It looks as if the running total is 10,965. Leal shook his head. “No, friend, you have admitted to a life of debauchery, but I think you stealing wine would be…” Leal paused, picking his words with care. “Unfruitful,” he finished. Leal stopped, his hand reaching to the scabbard on his belt. Ekon continued down the corridor and Leal was forced to hurry to catch up. They nodded to everyone they passed in the corridors. Some with a smile, others with a hearty handshake. Some even yet, a word or two of thanks or encouragement. When they arrived at Ekon’s berth, he walked to the head of the bed. Ekon reached under the straw mattress and an audible click sounded out. Leal stepped back as Ekon’s bed dropped and a hidden compartment was revealed. He reached in a retrieved something wrapped in cloth. Leal wore a mask of skepticism. Many had claimed to have located the resting place of Kanoni – most were attempting to sell something. Ekon unwrapped the package slowly, carefully peeling pack each fold. Each layer, revealed a glow from within. With each layer, the glow intensified until finally, Leal was unable to look at Ekon’s hand directly. Through fingers covering his eyes, Leal squinted and saw a gear. His eyes teared and the gear was blurry, but it appeared to be the most magnificent workmanship Leal’s overtaxed eyes had ever seen. “Hold out your hand,” commanded Ekon. Leal did as he was told and Ekon placed the gear in Leal’s outstretched hand. It was small, Leal’s palm swallowed the delicate gear, but he felt a presence much larger than the gear. Leal felt warmth radiate from the gear and he felt the ability to look beyond the brilliance shining from it. As he squinted to bring the gear into focus, he noticed a stain of blood. Covering more than half the gear. “Is this?” he tried to speak, but he forced himself to focus on the gear. He discerned ropes and pulleys. Gears within gears. Empty space occupied by… “Is this,” he tried to ask again. The view from behind the wooden barrel only allowed Nichelle to see one of the two figures bent over a wooden crate. Nichelle gripped the edge of another crate and as quietly as she could, pulled a slat loose. She felt the heft and weight of the slat. She had suspected someone was stealing food, and had been investigating for the last few weeks. She followed a figure to a storeroom and was about to confront the thief, but she waited to see who the thief’s accomplice was. “Here you are, Mi’Lord,” said the thief. A hand reached out from beneath a cloak. The thief held out a loaf of bread. Nichelle recognized the bread from the food stores, but the hand that reached out for the bread stopped her cold. Each finger was adorned with rings and rare gems. The ring on the pinky finger could only be from the magistrate. The cur has stowed away! She thought, the bile rising in the back of her throat. She was about to leap out and dispatch the thief and the loathsome magistrate, but she felt a burning on her palm. She dropped the slat with a clatter and the thief and the magistrate looked towards her hiding place. The thief picked up the slat, but Nichelle had already snuck out of the storeroom. Leal closed his hand, hiding the gear. The two men looked toward the door to Ekon’s berth as a knock sounded out again. The door swung open and an out-of-breath Nichelle jumped through the doorway and closed it behind her. “Do you have a way to secure this door?” she asked. Ekon opened his mouth to reply, but when his gaze fell upon a pewter mug, he saw a reflection that silenced him. “Goddess,” he whispered. Leal and Nichelle rushed to Ekon as he slumped to the floor. Nichelle poised her ear over the prostrate form of Ekon. “He still breathes,” she announced. “Ow!” cried Nichelle. Leal had put his hand on his daughter’s, forgetting about the gear clinging to his hand. Leal looked at the gear in his hand, a new smear of blood adorning the intricate mechanism. The phrase repeated again and again. When a messenger banged on Ekon’s berth and repeated the phrase, Ekon opened his eyes. He rose silently, picked up the cloth from the deck and used it to retrieve the gear from Leal’s hand. He secreted it away in the void beneath his bed and his hands searched until another audible click. The bed restored itself and no one but the three watching knew of the hiding places existence. The trio rushed out of Ekon’s berth and up ladders until they were topside. It wasn’t difficult to tell where land was; the denizens of the great ship were crowded to the port, staring off over the ocean. Leal pushed his way through the crowd and when he reached the railing, he could make out the fain outline of land and something gleaming on the horizon. “Change course. Head for land!” Leal shouted and the order was repeated again and again. He could feel the great ship move beneath his feet. He had never thought of himself on the ocean. Caring for his family was all he needed, but more than a month on the ship had taught him the skills he needed – mostly by trial and error. The crowd chased after Leal as he ran to the bow of the great ship. They gasped as the ship moved closer to land and a bright light. “It’s an arch!” cried out Nichelle. Murmers of agreement permeated through out the crowd. Indeed, in the distance, shrinking as the sun moved from behind them to overhead, was an arch of gleaming brass. There was much debate, but the consensus was that the arch was the height of ten men, gleaming with reflected light. They marveled at the arch, spanning a canal. A canal they steered towards. Some in attendance with keen eyesight claimed they saw figures beside the arch – perhaps sitting atop a horse waving to the great ship. Nichelle looked back and saw the thief drop a cloak and leap over the railing. In the water she saw the magistrate swimming towards shore. The thief swam after him. Good riddance, thought Nichelle as she turned her attention back to the ever-increasing arch. The mid-day wind brought with it the smells of a working village. Nichelle crooked her head and watched a flower float in the breeze – It was a simple white flower that appeared to dance and sway before striking the prow of the boat and falling into the ocean. This entry was posted on Saturday, January 3rd, 2015 at 14:02	and tagged with #3WW, #bekindrewrite, Victorious Maiden 3 and posted in fiction. You can follow any responses to this entry through the RSS 2.0 feed. « Champion Standing out now! Could you provide a link to the first episode of this story? I think I’d be able to enjoy this more if I could get in from chapter 1. Thanks! Certainly: https://article94.wordpress.com/tag/victorious-maiden/ scroll to the bottom and read away! Cool development. I like your brief-glance-then-move-on style. It creates an interesting rhythm. Also, clockwork wings??? Excuse me while I drool all over the keyboard. Thanks, Steph! I had a question for you, I sent it out in an email.